Your iPhone tracks every place you visit. Here’s how to see the map. Bubbles show you where you have visited. Your iPhone knows where you are, and it remembers where you have been. It keeps a record of your frequent hangouts — aka “significant locations” — and uses this data to make location-based suggestions using Siri and to power other features. Don’t panic, though: This data is kept on your phone, not collected by Apple. Maybe you want to switch it off anyway, though. Perhaps you’re having an affair and don’t want your suspicious spouse to find out where you and your lover hook up. Or you’re an undercover cop and don’t want your visits to the police station to show up on your phone. Today we’ll see how to access your recent locations data, remove it, and switch it off altogether. Significant Locations settings’ are buried pretty deep. 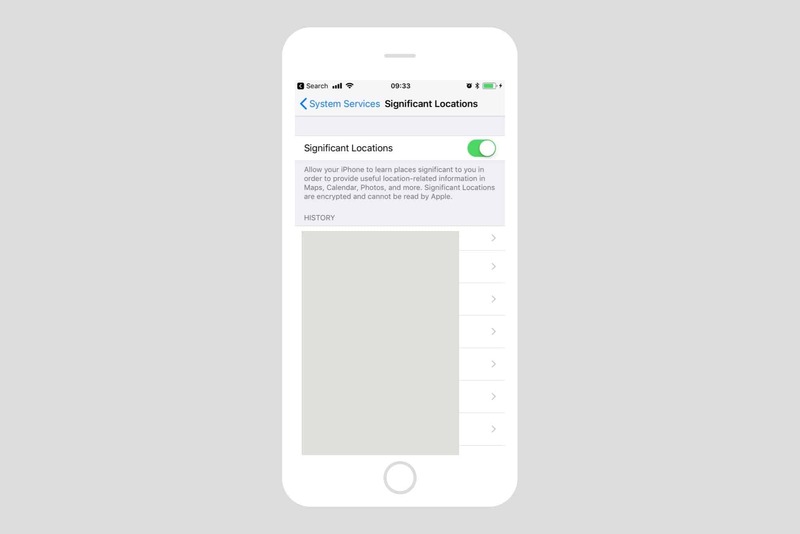 You’ll find them in Settings > Privacy > Location Services > System Services > Significant Locations. You must authenticate yourself to see them, using your passcode, Touch ID or Face ID. Once you’re in, you’ll see a list of the towns and cities you have visited. Each one will have the number of sub-locations, and the date or date range of your visits. The city you live in will probably have the most entries, but you may be surprised at which other spots have been recorded. To view the locations on a map, just tap the name of a city. The data can be either fascinating or scary, depending on your point of view. 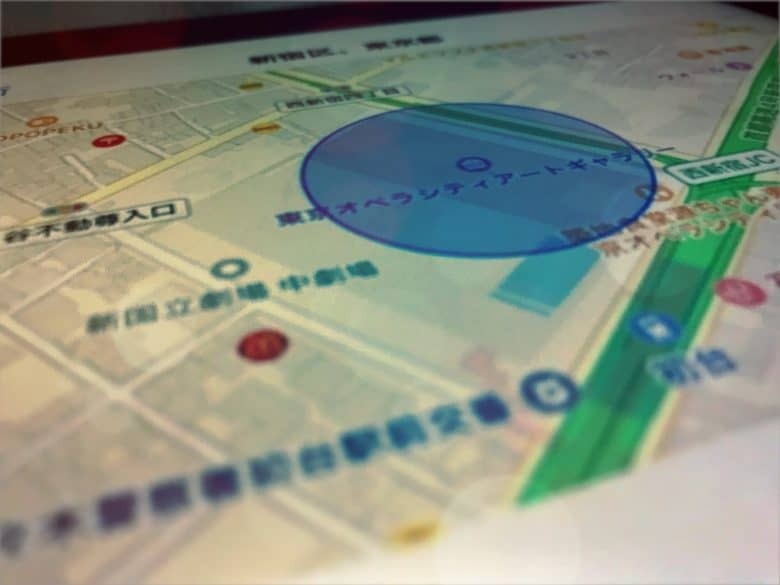 You’ll see a map showing circles indicating your most-visited locations. Below the map is a list, ordered by frequency of visit. Tap on one of these locations and you’ll see yet another list (and map) detailing the exact times of your visits. There are two ways to remove significant locations: the nuclear way, and the surgical way. At any spot in these lists of data, you can tap the Edit button at top right, and then remove entries. Depending on how deep you are in the list hierarchy, you can separately delete individual visits to a single location or remove an entire city from your history. The nuclear option is to switch off significant locations. This is done by toggling the button at the top of the significant locations settings. However, if you do this, you lose out on some iPhone features. For example, the Maps widgets won’t work properly without access to this data. As ever, you must decide if the tradeoff is worth it. Given that accessing this data requires physical access to your iPhone (or iPad), as well as your passcode or fingerprint, you may consider the data safe. Or not. For some folks, the significant locations data could be a fun way to see what they were up to in the past. For others, it could even prove useful, helping to remember client visits or track down that amazing restaurant you visited a few times while on vacation. Alternatively, the very existence of this kind of information on your iPhone might terrify you. Go take a look at what your iPhone has recorded, and make up your own mind.